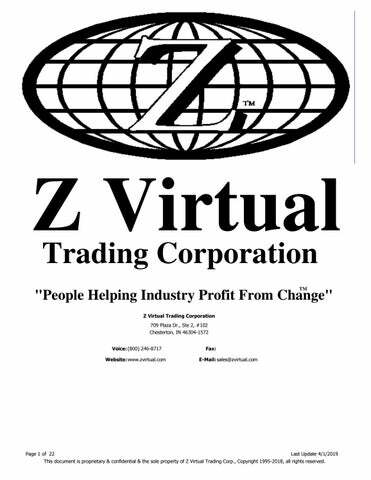 This document is proprietary & confidential & the sole property of Z Virtual Trading Corp., Copyright 1995-2018, all rights reserved. 14 x 20" 18 x 25"
Heun Chin HD scoring machine for binders made for chip board, press board, etc. 1" X 2 1/2 "
T-Roc Equipment, LC Model HBM 86 automated box maker machine with color touch screen for operator input, over 30 styles of boxes and pad, in-feed and out-feed tables and more! Used refurbished Rite-Size BMCE-55 Boxmaker with late model Rite-Size controller conversion. Used B & C flute corrugator Used Langston XD Corrugator equipped for B, C and BC double wall corrugated. 66 x 85" 66 x 80"
Used rubber cleated conveyor with 24" sides, new rubber belt equipped with 2" tall cleats. LOT of used powered roller conveyor with supports for 12" height. (1) 32" & (1) 45"
8 3/16" x 15 3/8"
2004 Akebono Bander (used less than 40 hours)â&#x20AC;Śincludes one box of (6) rolls of banding. crimps 1/4 " to 1 1/4"
USED AQUA-CHEM MODEL SED-200 316L STAINLESS STEEL SINGLE-EFFECT STILL SYSTEM. Complete small printing shop package…all needed to start up local print shop. Used inline MasterEtch with caustic soda beads, ferrich chloride, dip tank, storage cabinet, pump system, hydrometer, Starret depth gauge, Starret digital micrometer, storage and tranfer tanks. Complete wide coated abrasive belt making equipment package, ideal for short runs. Used Weld-O-Tron Shrink Tunnel Automated large format shrink wrap line custom applied / integrated per client request. Custom Made 6 station multi-tasking fill and seal machine with rotating table. Used Ameripak Form Fill and Seal machine in "near new" condition. (9) Rubber coated Rollers bearings on all, off fiberboard press some never used. 8 are rubber coated one is brass. Head size 26 x 80"
EPM 39" x 48" expanded polystyrene shape molding machine to mold custom shapes. 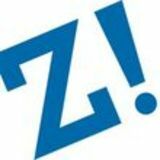 Geitz FE Auto Platen foiler 14" x 22"
60 x 49.5" 70 x 54.5"
30" wide x 60+" length x 66" height 36 x 36" 42 x 52"
used Cotron 5200 AP/R 77"
11" x 17" 11" x 17"
20 x 14 13 x 17"
Used Comec 60 LPE pad printer equipped w/ clichĂŠ maker. 20 1/2" x 28 3/8"
used Hamada B452 A1 offset press w/ computer, anti-markingâ&#x20AC;ŚLike NEW! Used Heidelberg CD 102-8+LX Offset press Used(2000) Ryobi 3304 offset press, very low impressions! 17.5 x 22.5" 13.39" x 17.72"
Used Rima RS2510 Stacker major rebuild & upgrade…conact us for complete list. Holweg 4 Color C.I. Flexo Press with floating deck capable of pirnting 5 colors. Sicx (6) color C.I. Flexo press with coating line. 24" (600mm) 19" to 33"
52" x 96" 52" X148"
1998 Shung Fa 28" x 40" Autoplaten with stripping. Herman Schwabe Model MSTEH four post die cutter, can be auto fed by addition of motor on feed tables. 19.7" x 49.2" 48 x 96"
Used Freeman Schwabe BP25-2050 beam press Used Contech four post die cutter equipped with automatic shuttle feed,~ 200 ton pressure . Kiss to heavy die cutting. Used(2003) Atom model PT-1001 shuttle fed die cutter w/ 90 ton capacity…virtually no hours of use. Used Schwabe SR 150 onbelt beam press w/ external hydraulic unit. Remanufactured Freeman Schwabe model DS 25 ton clicker die cutter with 1 year warranty OEM Remanufactured Schwabe model D heavy duty hydraulic swing arm clicker die cutter with one year warranty. Used Schwabe dual head clicker die cutter. Used dual head Schwabe clicker die cutter model DT w/roller infeed. Used Visual flatbed die cutter Used General 100 W x 144" table flatbed roller press. 44 x 66 44 x 64"
21 x 28" 15 3/4 x 22 1/2"
32" x 34" Bolster 28 x 36"
Used (Remanufactured 2013) Heim OBI press equipped with AZCO three roll infeed, 60 ton press. Used Atom model G888 traveling head die cutter w/driven cutting head. 66" dia. X 80" to 90 x 90"
60" x 72" 60" x 80"
Potdevin Accumount Table an accessory to help mount prints or labels quickly and accurately. 16" x 20" x 7"
Gerber Graphix II with single function buttons for operation, knife will cut vinyl letters any height to 2"
Wild-Leitz computerized CAD table 95" x 63"
Used Data Tech Plotter / Router for up to 2" foam. Used Seybold model CJH-M5 guillotine with back guage and air takeoff table. Kliklok Model KF 10243 box blank former for setting up folding carton blanks. 1980 Arpeco Inspector 13.5" inches. USF Surface Prep bio blast soda anilox roll cleaner. Used Vandenberg-Stanford narrow web press with (3) die cut sations. Used Mark Andy 2100 Mark Andy 2100 4-color, 7â&#x20AC;? width,3 die stations, 1 sheeting station, 2 product and 2 waste rewinds, laminator tower,fife edge guide, 1/8â&#x20AC;? gearing Used Webtron (11) eleven color model 1620 Narrow web press w/ 3 die cut stations. Approx 1985 BTU Engineering 1 Zone IR oven. Opening Size: 27" x 32"
43 x 43 x variable to 72"
One used AMBACO series 8043 Auto-Tie baler equipped with wide mouth gravity feed. 50 x 24 x 40"
54" x 40" x 48"
72 x 32 x 36"
Bale Dimensions: 60"x 30"x 48"
Max-Pak closed end Foam Baler, rebuilt (2015) with 30, hp, 9" cylinder,up to 2,000 # bale includes 90 parts warranty. 72"l x 30"w x 36"t bale size feed opening: 54 x 35"
C & M Horizontal foam closed door baler model 5030 w/7" cylinder…was makiing 1200 # foam bale. (2) used complete Maren / Bloapco waste systems with (1) autotie and (1) manual tie Maren baler and attendant BloapCo shredders / pickup stations. Used 2 tank Carbon absorption system. For removing solvents from air using activated carbon beds. Used Preco 3630 web fed die cutter with removable full head 500º+ degree heat unit. New RESS HT 500 ton toggle / hydraulic die cutter with 9" daylight, 10 strokes per minute, "on-belt" cutting system. UsedPreco web fed die cutter equipped w/ unwind stand, lead in table, infeed roller, out feed roller, final delivery out feed roller w/ SDM controller Remanufactured Bruno 150 ton FH150 belt feed press Used Preco computerized die cutter with unwind, inbound pull roll, outbound pull roll, stripping / knock-out table, delivery table and final pull roll. Refurbished CORfine web fed rotary die cutter equipped with infeed table, rotary die cutter, belted conveyor take off. CD to #7 x 32"
Used Alpha Marathon V-Fold Poly/kraft bubble mailer equipped with unwind, lamination station, cross sealing & servo controls. 60" max roll diameter 60"
One used semi-automatic feed roller system with epectric push button operation for FWD & Reverse. Lembo Single turret rewinder 90" w x 30" diameter roll. 1994 Marshall & Williams 114" turret rewind. Used Good Strong high speed board sheeter with dual shaftless unwind for heavy coated or uncoated paperboard. Custom made small footprint stackerâ&#x20AC;Ś. Used Rosenthal straight knife sheeter equipped with 4 slitters and HD knife. 72" web x 18" dia. Pisani "Baloney" slicer with ball screw driven carriage, sharpener, spray mist system, PLC controls. Used Cameron mdl 428 shear cut slitter rewinder equipped with; shaftless unwind, two drum slitter rewinder w/ 3" diameter rewind shaft Used Cameron mdl 14, two drum slitter rewinder equipped with 60" diameter shaftless floor pick up unwinder, shear cutting & two drum rewinder Used J.H. Horne two drum slitter rewinder w/ idler w/ load cell tension control, tidland slitting system, dual bowed rolls, min. slit width 2", 18" dia. Drums, belt driven rider roll. Used Black Clawson model TD-14 two drum slitter rewinder with 72" dia., rewind. Used 86" web Custom Built driven unwind stand equipped with photo eye, hold down bearing blocks and 3" diameter Tidland air shaft.